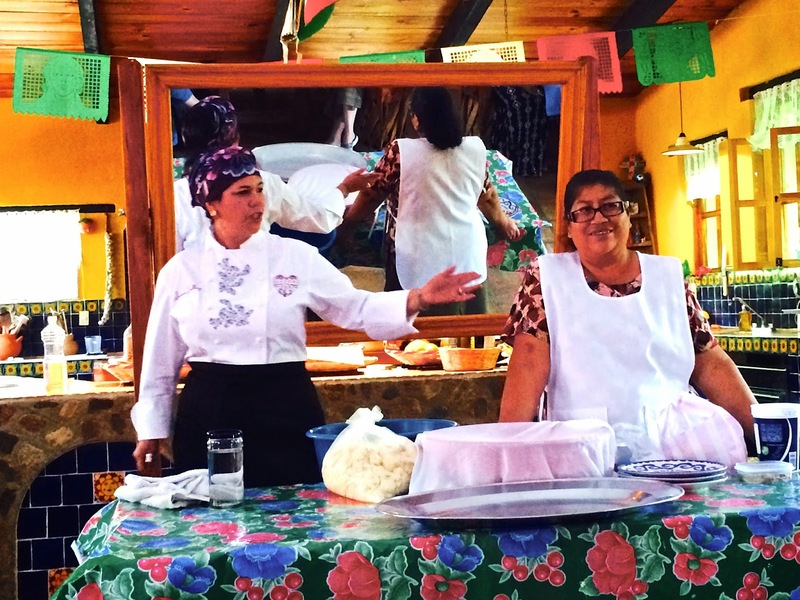 One of the most interesting experiences we had in Oaxaca was the afternoon we spent at Chef Susana Trilling's Seasons of the Heart Cooking School outside the village of Etla, about 8 miles from Oaxaca. We were at the school for a long time. 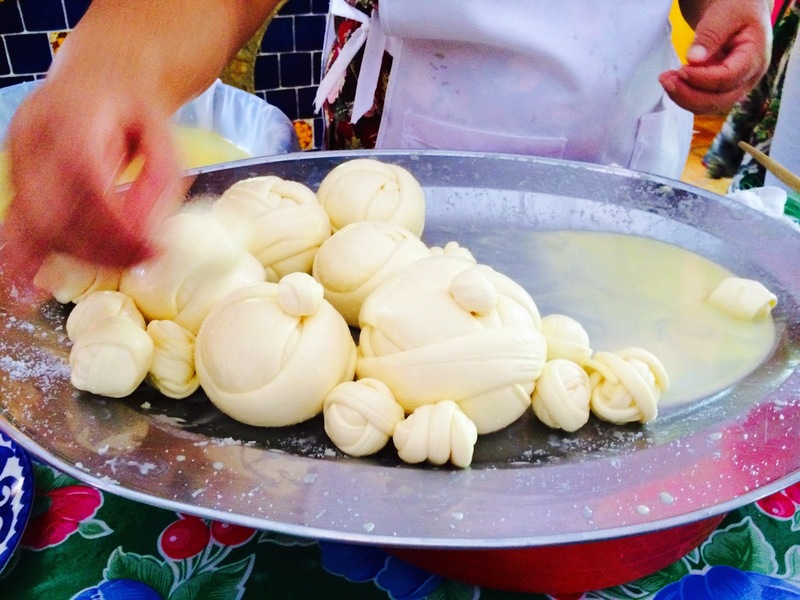 You don't just whip out a traditional mole! There are many steps, all important, and lots of slow simmering and endless stirring. The delectable meal we created was well worth the effort! I found the whole time at Susana's beautiful school kitchen (and dining room) to be a feast for all the senses. Even the view out the front door to the surrounding countryside, the campo, was stunning. 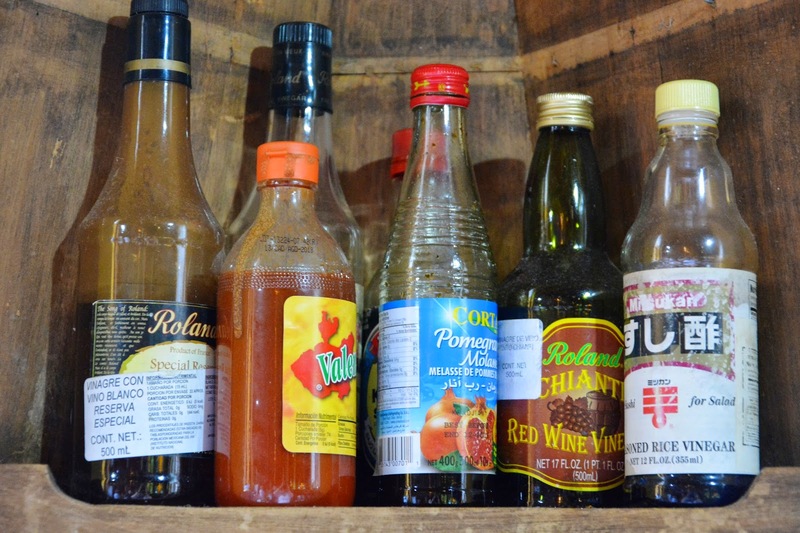 Even in a traditional Mexican cocina you'll find rice wine vinegar! 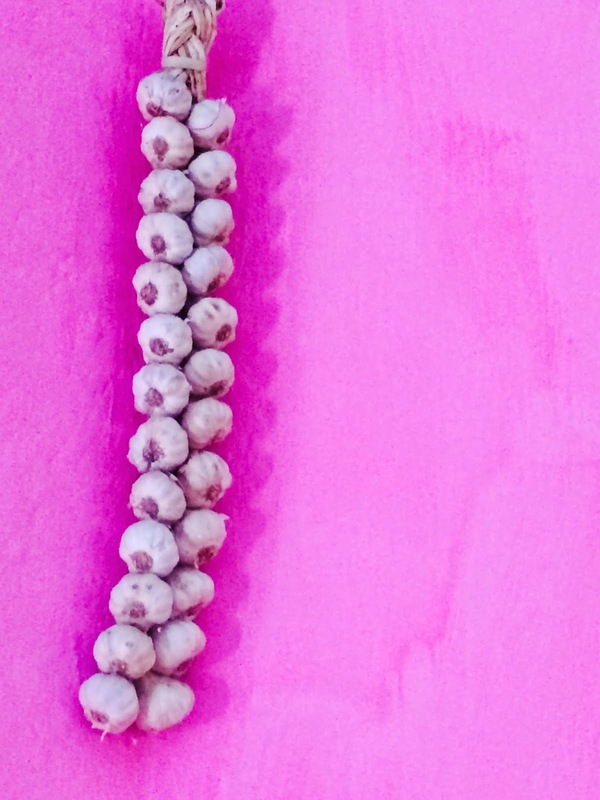 The vivid pink walls were the perfect foil for setting off the handmade Mexican tile that covered all the counter tops and even made this braid of garlic look like art. All the produce was luscious. 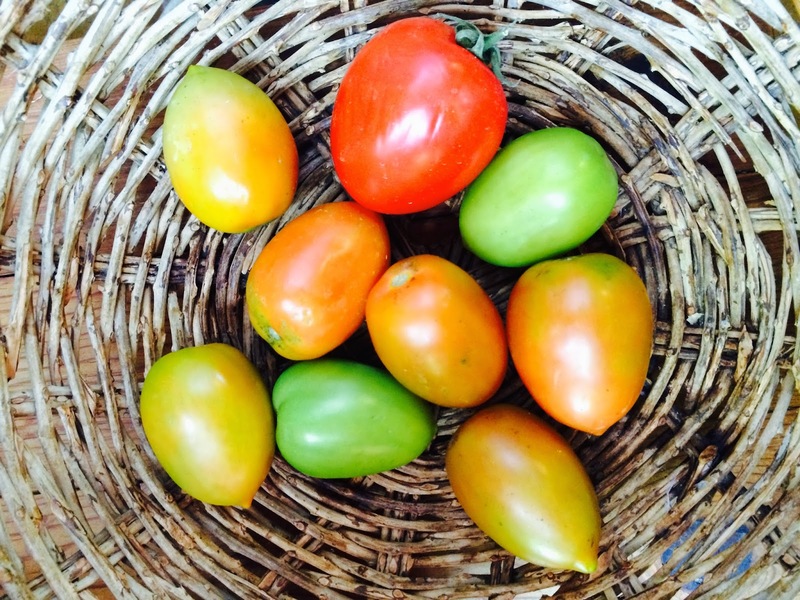 It was a delight to work with the raw ingredients for our dishes. 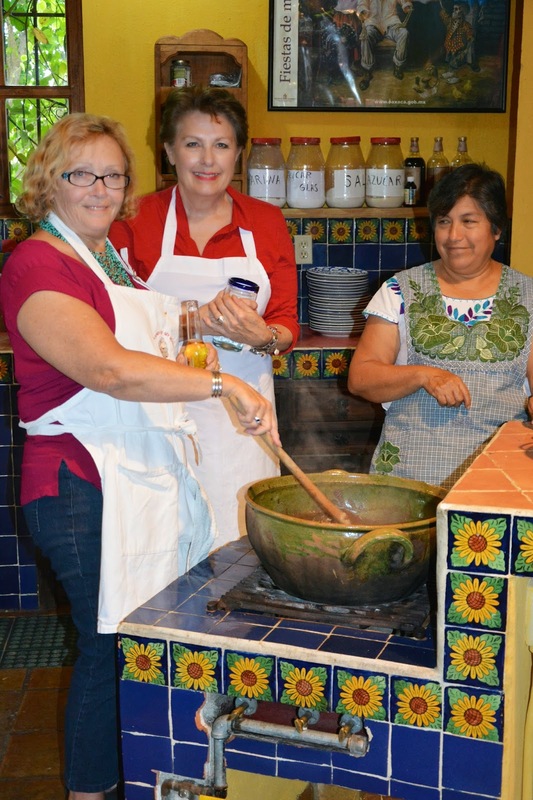 Chef Susana Trilling is on the left and the lady on the right is a local cheese maker. 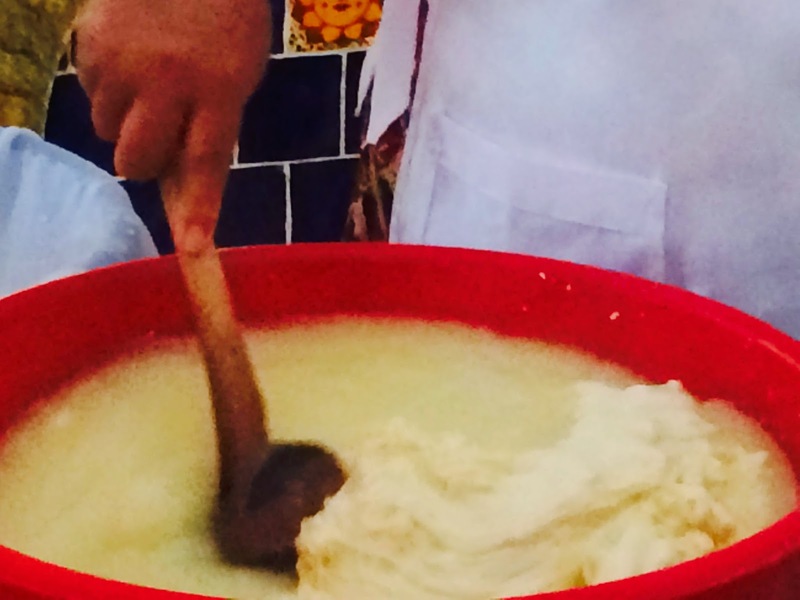 She makes cheese every day with 350 liters of milk! She made the whole process look so easy and her queso fresco was delicious. 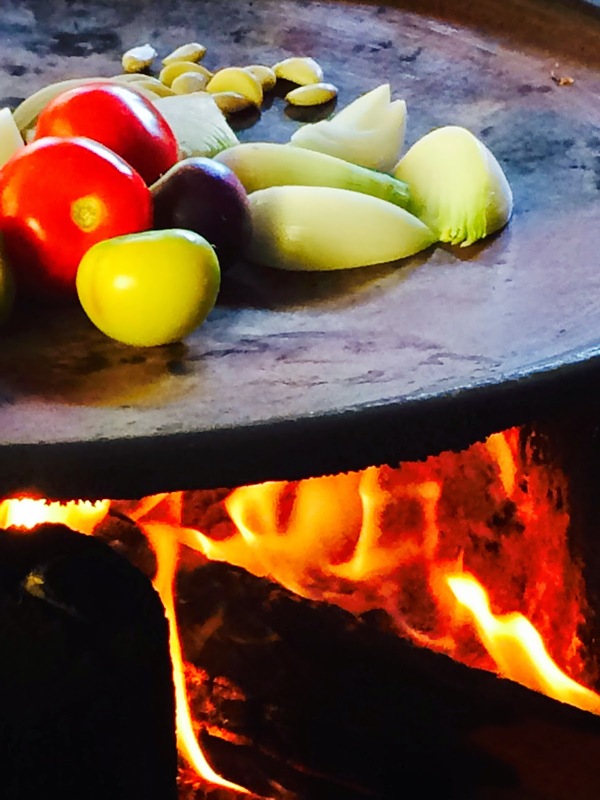 For the yellow mole that my cooking partner and I made we roasted the tomatoes, tomatillos, garlic and peppers on a comal (flat clay plate in photo below) over a wood fire. 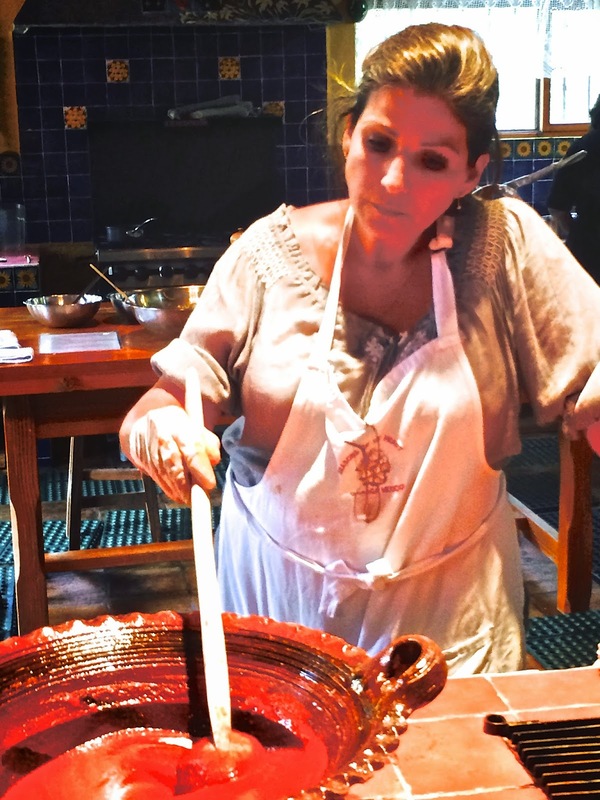 It was fun and the flavors imparted important to achieve the true flavor of an Oaxacan yellow mole. 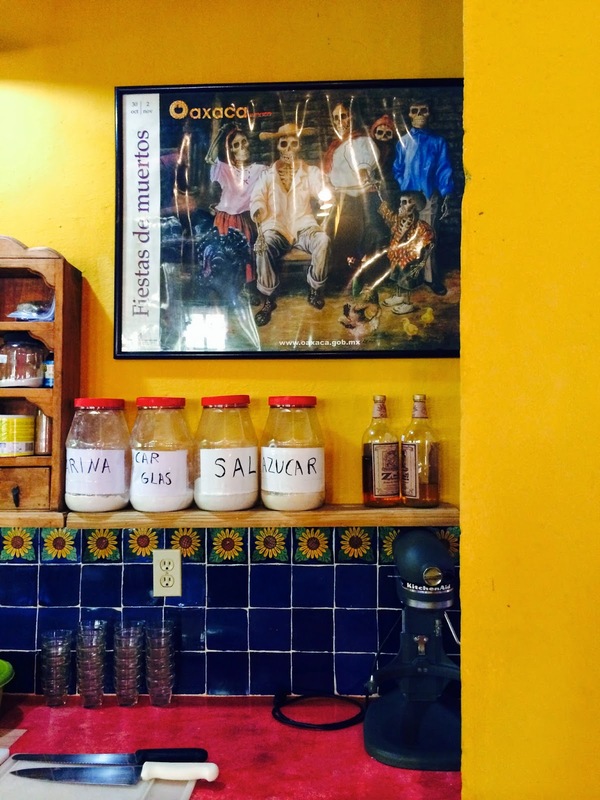 As Chef Susana told us, "Smoke is an ingredient in our cuisine." 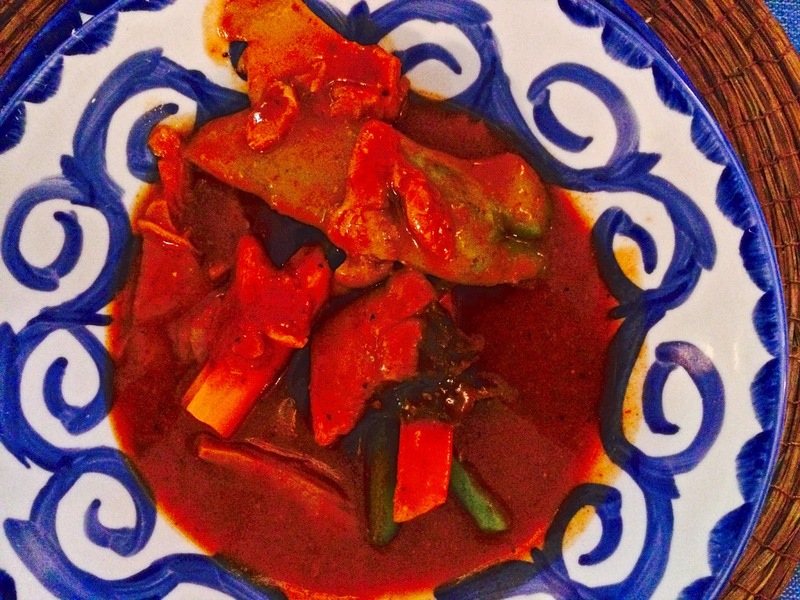 Here's our finished yellow mole dish (Mole Amarillo de puerco con setas), served with carefully cooked vegetables. We had green beans, carrots, chayotes and oyster mushrooms. It was, if I say so myself, delicious! And, as if the wonderful day outside of Oaxaca wasn't perfect enough, on our way back to our B & B, at a stop light, we had entertainment. I wish we had such things here at home! I never would have dreamed that a flaming baton twirler would be working at a stop light. It was remarkable! Once again; spectacular photos of our trip. Especially enjoyed the cheese maker. Made my mouth water all over again. It all looks so much fun. I'm still not sure what a mole is other than a little animal. I can taste this sumptuous dish right off the computer screen! :-) See you tomorrow around 3:30.